Split up between two separate titles beneath the Future Sound brand, the latest Hatsune Miku release has more than enough toe-tapping songs no matter which Vocaloid you’re fond of. Nearly every track from the last four localized Hatsune Miku titles has made their way into the nearly 230-song roster of Future Sound. If you’re looking to simply play the tracks that you’re most familiar with, fans might want to prioritize one version over the other. Future Sound contains nearly every track from the previous Project Diva titles, while Colorful Tone contains the catalog of Project Mirai tracks off of the Nintendo 3DS series. 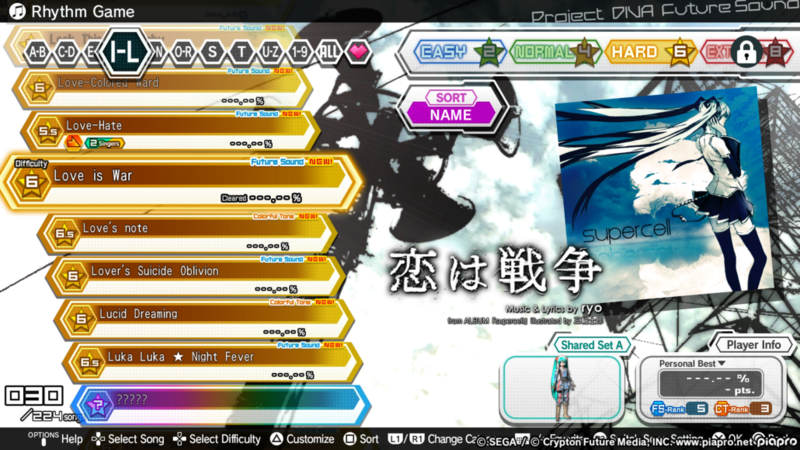 These two sets make up the colorful tracklist to Project Diva Future Tone. For someone that’s had more than a passing interest in the Vocaloid song catalog, the release of Project Diva Future Tone represents a celebration of nearly ten years of Hatsune Miku’s synthetic music. As I scrolled through the roster of songs, after the surprise of just how many songs there were available at a modest price, an intense wave of nostalgia hit me. These were songs that I had been playing since I imported the first Project DIVA title on the PSP back in 2009 and tried playing nearly every other title since, even if they hadn’t always reached a Western audience. Other tracks were ones I had stumbled across during late night YouTube binges or SoundCloud remixes that could instantly be identified by their catchy rhythms. Future Tone also features some surprise tracks that wouldn’t usually be attributed to a Vocaloid singer; even a song based off the After Burner theme song rounds out the roster and should be nostalgic for fans of the old SEGA arcade game. 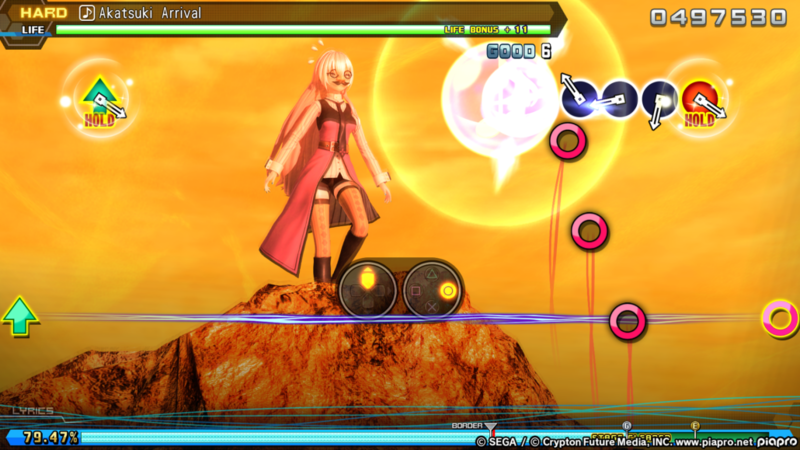 Year after year, the Project DIVA series has maintained its simple four-button control scheme and thrown in a number of different innovations, some that feel natural in a rhythm title and others that can be cumbersome to execute. Future Tone tries to find a comfortable medium by keeping the experience streamlined. Any of the four buttons can be tapped either by the face button on the Playstation 4 controller, or their corresponding direction (Cross is Down, for example). Typically these will be in combination of hold notes where the button must be held down to maintain combo and build up a higher score. These times, especially on Extreme difficulty, I found myself holding down notes on one side of the PS4 pad while trying to tap away the rhythm on the other set of buttons and switching as the rhythm dictates. 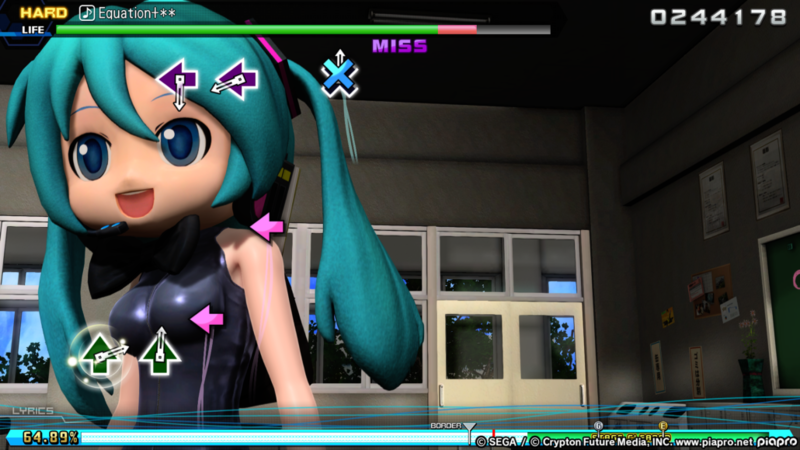 Another mechanic brought into Future Tone is based upon the star-shaped notes where Vita players had to simply flick the Vita’s analog stick around in DIVA X. Now, there’s a minor bit of added finesse with either analog stick having to be struck/held either to the left or right direction. It takes some getting used to alternating between buttons and stick, but the motion usually fits into the rhythm of the song after some practice. In comparison to the cakewalk that was Project DIVA X, Future Tone necessitates having a good sense of rhythm to complete its harder songs. Merely making it to the end of a song without letting your stamina meter deplete from missing notes sometimes isn’t enough. I can’t begin to count the number of tracks on Extreme that I’ve made it to the end of, only to see that familiar Game Over screen at the end purely because my accuracy wasn’t enough to boost me over the requisite threshold. For many songs, repeated playthroughs were required to get the rhythm and timing down to where I could achieve a high enough rating to actually pass the track. This was a big change of pace from DIVA X’s simple requirement to get a high enough score (which was made even easier by wearing score-boosting modules and accessories). Fashion isn’t an aspect typically associated with many rhythm games unless you count the band dress up in the Rock Band series. For Hatsune Miku, however, what she wears is almost as impactful as the song she’s putting her heart into. Many of the songs in Future Tone have their own special costume, or module, associated with them although players are free to mix and match modules, accessories, and even the singers (though only a few tracks actually change the vocals accordingly). These extra fashion pieces are all unlocked with points earned by playing through the game normally, so there’s no reason not to customize the Vocaloid crew to your heart’s content. Having song specific module set-ups makes keeping Miku and her crew looking their best no matter what they’re going to perform. Having the pedigree of being based on an arcade release rather than one designed for a handheld experience works wonders for Miku’s graphical prowess. While some of the music videos have been in previous Project Diva titles, backgrounds and singers alike have been re-rendered into native HD. Regardless of which singer you opt to show off, every Vocaloid is looking their absolute sharpest in Project Diva Future Tone. Whether you’ve been singing along with Hatsune Miku for years, or want to finally check out what makes the rhythm series so special, Project Diva Future Tone is perhaps the pinnacle of the entire franchise. With a robust roster of synthetic tracks that put any other rhythm game to shame, Future Tone offers an incredible selection of both old and new songs alike. 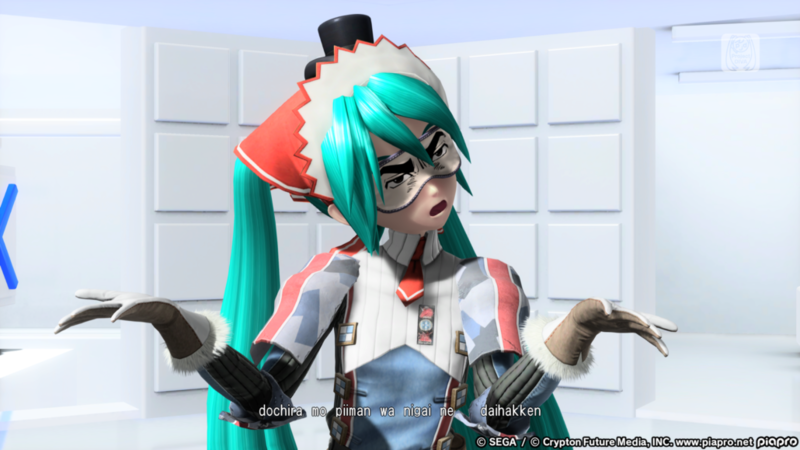 Ardent haters of the Vocaloid’s singing style might not be won over that easily, but fans that want to spend an afternoon with their digital singer of choice will be pleasantly surprised with the amount of value packed into both Hatsune Miku: Project DIVA Colorful Tone and Project DIVA Future Sound. Project DIVA Future Tone is a celebration of ten years with the Vocaloid crew, bringing nearly every song and outfit handcrafted for the digital singers into one complete collection on PlayStation 4.